Compression: Am I overdoing it? Is the ratio and the threshold set in a way that is helping rather than hurting? See these common mixing mistakes and find out how to avoid them. Threshold, which determines the point at which compression begins. Set it too high, and not enough of the signal will have its gain reduced; set it too low and you’ll squash the signal to the point where it’s audibly pumping – an unpleasant artifact all too often characteristic of bad mixes. Ratio, which specifies how much gain reduction is applied. The lower the ratio, the more subtle the effect. Attack, a control that determines how quickly the compressor reduces gain once a signal exceeds the threshold setting. This is especially important when compressing percussive material, because slower settings can allow brief high-level signals (called transients) to sneak through before the compressor has the chance to rein them in. If, for example, you set the attack time too fast on a snare drum, it will end up sounding like a sack of cement being hit with a broom handle. That’s because the transient – the crack of the stick hitting the skin – will be way too low in volume compared with the rest of the sound. Release is the opposite: it sets how quickly the compressor stops working after the signal drops below the threshold. This is an especially important control when it comes to mixing – so important, in fact, we’ll be devoting an entire section to it shortly. Those four controls are intrinsic to pretty much every compressor, although they are sometimes combined in a single knob for ease of use – for example, in the OneKnob Pressure and OneKnob Louder plugins. Make-Up Gain, which boosts the compressed signal so you can bring the track back to its starting level, albeit with a reduced dynamic range. Note that some of these controls—most notably threshold and ratio—are highly interactive. For example, a low threshold with a high ratio can easily result in a sound that is squashed to the point of being lifeless, whereas a high threshold and low ratio will yield much more subtle results and is therefore usually a better way to go. How can you tell when a mix is overcompressed? Try applying the fatigue test. Can you listen to the entire song from start to finish at a decent volume without feeling weary from it being continuously in your face? If the answer is no, you need to back off on the compression. Dynamic range is what allows a mix to breathe. Don’t give in to the temptation to compress elements of the mix just to make them sound louder and more powerful. Understand that there’s a big difference between pumped-up and just plain annoying. If you find yourself constantly hiking up ratios, lowering thresholds, and inserting more and more compression plugins, it may be time to reassess your overall approach. If you’ve got a bunch of compressors pumping away during your mix, try bypassing them one by one and listen. You’ll be surprised at how much better most tracks sound (at least the ones that have been recorded decently) when they’re not squeezed. Remember: It’s not imperative to have every aspect of the song jump out at the listener. 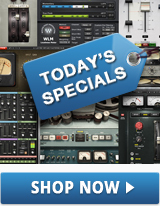 Bear in mind also that some compressors are designed for transparency, while others—usually modeled emulations of vintage analog or tube devices—are meant to color sounds and add character. Don’t use one type where the other will do the job better. If you’re not convinced that your critical listening skills are developed enough to distinguish between a properly compressed and an overcompressed mix, there’s an easy solution: use your eyes instead. Simply patch in a meter plugin (or use the one supplied by your DAW) and watch the onscreen display closely. Does the virtual bar graph (or needle) stay relatively still from start to finish? If so, that’s a sure sign of overcompression. As we mentioned earlier, release time is especially important. When set incorrectly, the gain reduction you’re applying will become obvious and intrusive; set correctly and you’ll hardly know it’s there. The goal is to get the action of the compressor to blend in with the musicality of the song. Too short of a release time will result in audible pumping; too long and the compressor will rarely if ever return to its zero state, resulting in nearly constant gain reduction: in other words, overcompression. To find the in-between sweet spot, start by setting the release time so that it’s slightly longer than a beat, then tweak as necessary. (Divide 60,000—the number of milliseconds in a minute—by your track’s beat-per-minute [BPM] tempo to get the number of milliseconds in each beat.) This way, the compressor is still working somewhat—though at a reduced intensity—when the next transient (usually the kick or snare) comes along and exceeds the threshold. The result is smooth gain reduction that follows the music, as opposed to it coming in and out randomly. Unless you’re mixing a piece of purely instrumental music, the most important component is undoubtedly the lead vocal. The good news is that this is one element that almost always benefits from some compression. Properly applied gain reduction not only allows a vocal to sit at the proper level throughout the entire song, it also enables the listener to hear every word of the lyric. As you are mixing, pay special attention to the words. Are any of them buried beneath the music? If there’s only one or two that are, the best approach is often to simply use automation to write a quick fader boost here and there. Any more than that, compress instead. Inexperienced singers and/or those with poor mic technique can sometimes get overly excited, resulting in a vocal track that’s all over the place volume-wise. In some cases, this may be so severe that it may seem impossible to compress aggressively enough to level out the signal sufficiently without completely squashing the track, ruining its timbre, and/or destroying any depth and nuance. In cases like that, try using two or more compressors instead of one. Chain them together in series (that is, one into the next), and set their controls so that each is doing just part of the work. For example, the first compressor could have fast attack and release times and a high threshold setting so that it kicks in only during major peaks, with the next compressor in the chain set to a relatively low threshold and ratio, with moderate attack and release times so that it is processing average levels pretty much all the time, but extemely gently. The Waves Renaissance Compressor is a popular choice for these kinds of applications. Does your mix suffer from a bass or acoustic guitar that sounds boomy on some phrases yet well-balanced everywhere else in the song? Or does it feature a lead singer with a shrill high register—one that makes you cringe when they’re belting things out during the choruses, though he or she sounds fine when singing the quieter verses? Is there an edginess that creeps in when a bunch of midrange instruments like horns or synthesizers pile on for one section of the song? All of these problems can be the result of too little compression (or none at all). More commonly, however, they stem from the use of a standard compressor when a special type, called a multiband compressor, is called for instead. These types of plugins—examples include the C4 Multiband Compressor, C6 and Linear Phase Multiband—allow you to apply selective compression to specific frequency areas so you can perform fine “micro-surgery” on only those aspects of the signal that are problematic without affecting the overall signal. For example, to cure the bass/acoustic guitar boominess problem, adjust the frequency range and width (“Q”) of one of the bands to include only the “boom” frequencies, then set its threshold to be at or slightly below the level where the offending frequencies stick out too much and adjust the ratio, attack, and release times to taste. Ditto for that irritating lead singer, or the horns/synths that shift the spectral balance. A properly applied multiband compressor can also help a mix that is lacking high-end detail or low-end punch, without altering the overall balance or dynamic range. It’s also great for removing sibilance from a vocal (a process known as de-essing), since it can be adjusted to reduce the gain of only the high frequencies that make those “sss’s” figuratively take the top of your head off, while leaving the rest of the vocal untouched. 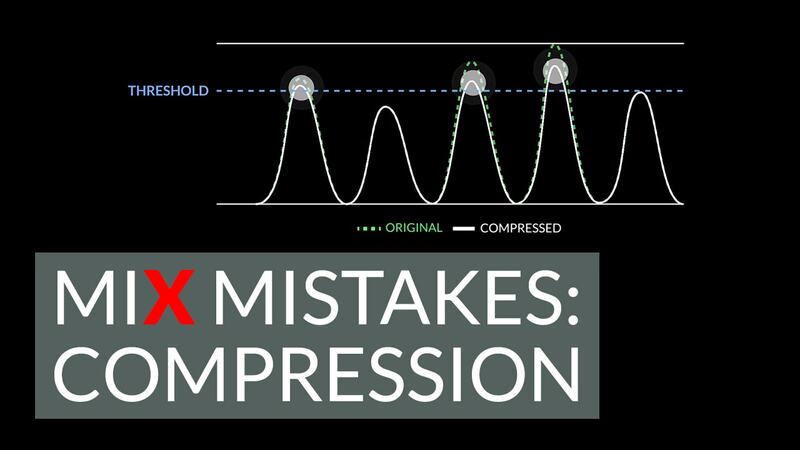 Want to learn more about how to use multiband compression? See our detailed breakdown here.